Help STOP House Game Fish Bill #983. In short, it is trying to label Red Drum, Speckled Trout, and Striped Bass as game fish only. Which means you will not get them in restaurants or at the fish house if this bill is passed. Please call the NC Legislators or email them to tell them NOT TO PASS THIS BILL! The Below PDF documents are a list of the Legislators you can contact to help stop this bill from passing and the OWWA Position Statement. 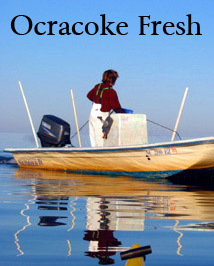 Ocracoke watermen are clammers, crabbers, oystermen and both commercial and recreational fishermen. Together they manage Ocracoke’s only fish house, institute restoration projects, provide educational outreach, conduct research and is a collective voice in an industry that is often misrepresented to the public. Since Ocracoke Island was first settled in the early 1700’s, fishing put food on the table. That still remains the focus today - fresh, local seafood caught by hand. Caught Today the Traditional Way. 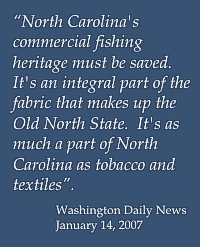 In February of 2008, NC Sea Grant asked the watermen what words best described themselves – tradition, by hand (no mechanical harvest), fresh, local and environmentally conscious. Sustainability, is defined as: A) a practice that sustains a given condition, such as economic growth or a human population, without destroying or depleting natural resources, polluting the environment, etc. B) governed, maintained by, or produced as a result of sustainable practices. Ocracoke Watermen understand the interdependence of a healthy environment, involvement of community and the local economy. In 2006, island watermen and a 300 year old maritime heritage faced an end when the last fish house was closed and put up for sale. Today the fish house is owned by a community non-profit . 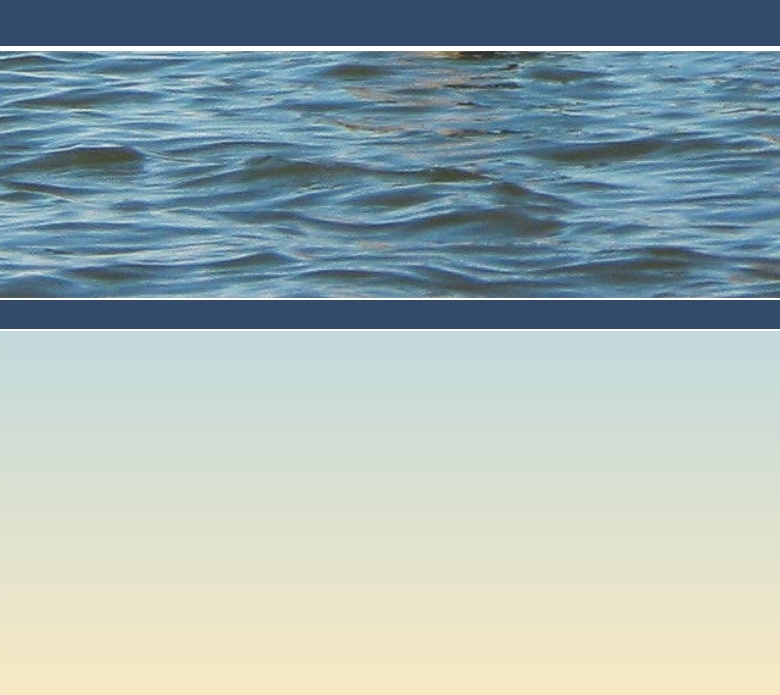 Become a supporter of OWWA and learn more about island fishermen, the effort to save the fish house, Ocracoke’s maritime heritage, educational outreach, research and restoration. 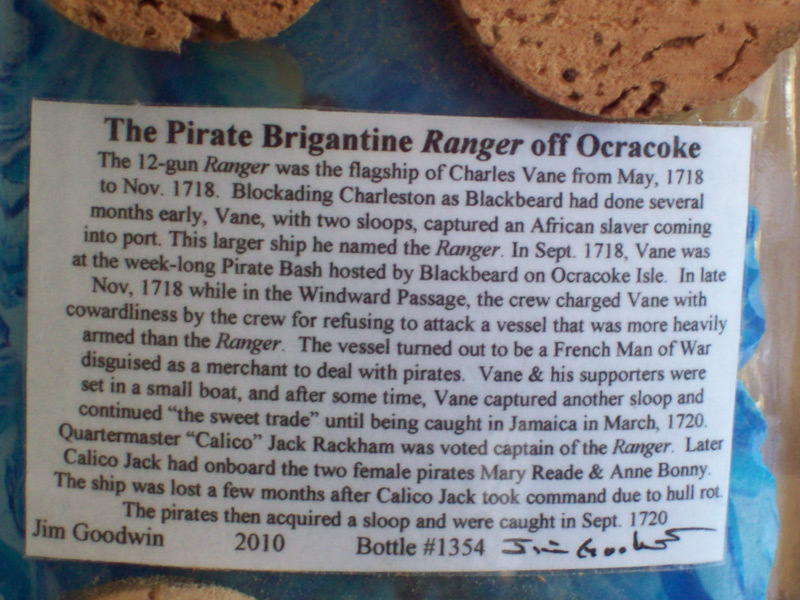 OWWA’s raffle item this year is a “Ship in a Bottle” by shipwright artist Jim Goodwin. 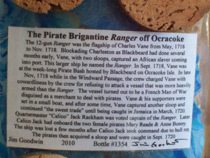 The work shows the Pirate Brigantine Ranger, the flagship of Charles Vane from May 1718 to November 1718. Jim Goodwin has been a geologist and an educator, but now devotes his time to preserving this maritime art form and giving demonstrations at museums and maritime festivals. Since his debut at Village Craftsmen and his workshops with the Ocrafolk School, Jim has been recognized both state-wide and nationally for his work. He spends many meticulous hours hand-crafting these items in a bottle. He also makes Lighthouses in a Bottle. Jim's Ships in Bottles are featured in "The Lovely Bones" a film based on the Best Selling novel by Alice Sebold. Raffle tickets will be available when the fish house opens with a drawing to be held Labor Day! 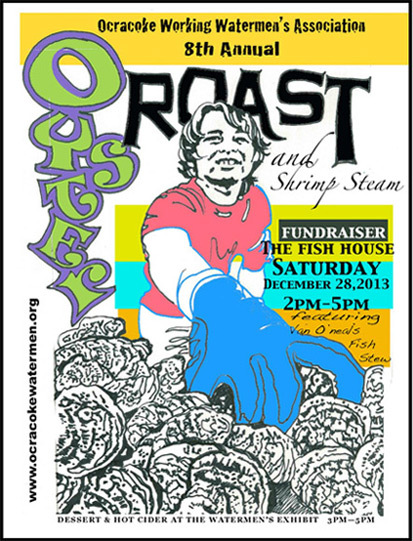 All proceeds benefit the Ocracoke Working Watermen’s Association.